Day 1. Arrival in Porto and we transfer you to Viana do Castelo (50 mins) overnight Viana. Day 2. 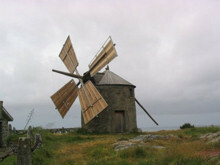 (Transfer to the start of the walk)A walk along the coastal path passing 3 fine examples of 16th century forts which once guarded the coastline, old windmills & for the eagle eyed among you a chance to spot the Montedor rock art in the cliffs, dated at 3,000BC, 12km, overnight Viana. Day 5. A walk along the river to the old manor house of Bertiandos (a wonderful example of a ‘Solar’). Then onward to the wetlands of Lagoas home to a wide variety of birds. 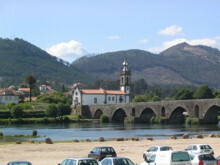 After spending time in this tranquil spot you walk back to Ponte de Lima through quiet hamlets, 14km. overnight Ponte de Lima. Day 6. A walk starting from the mountain village of Vila do Monte high above the Lima valley. 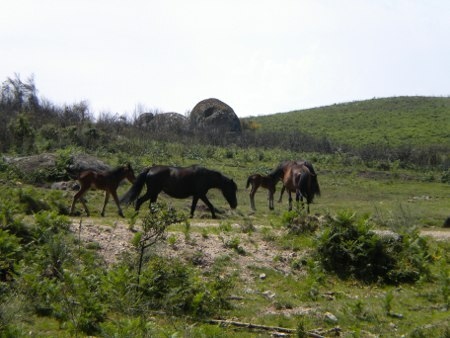 The walk has spectacular views all around and the countryside is home to the garrano a breed of wild horse who will keep a watchful eye on you, 12km, overnight Ponte de Lima, (taxi transfer to and from the walk). Day 7. Transfer to the start of the walk and then you walk at your own pace from the old town of Ponte de Barca along the riverbank back to Ponte de Lima passing old water mills and through ancient villages, 14.1km, overnight Ponte de Lima. Day 8. You will not want to leave but you must and we will transfer you back to Porto.